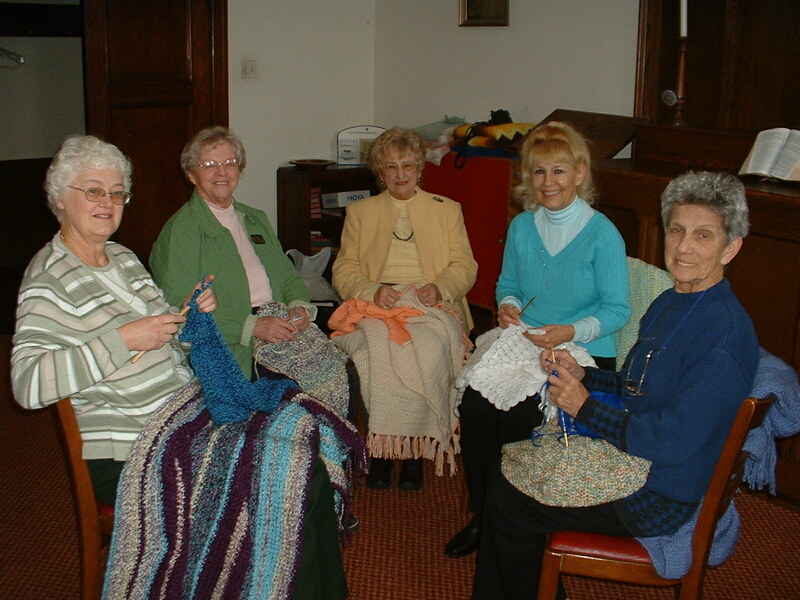 Since January 2006 over thirty shawls have been crocheted or knitted by our Prayer Shawl Knitting Ministry. The group meets on the second Friday of the month for prayer, discussion, and blessing of the shawls. Finished shawls are blessed by Rev. John Dickey. Countless hours spent making shawls have been greatly rewarded by the joy of giving them away. The first shawl was presented to June Jacobs for her years of dedicated service to church and her continued ministry at home. God bless the work of my hands, may it bring joy to the wearer and peace to the crafter. May the person who receives this shawl feel your loving embrace.